Daily Billboard is frequently bemoaning the fact that most car manufacturers ads can be quite dull and rely too much on the car's design to do all the work. 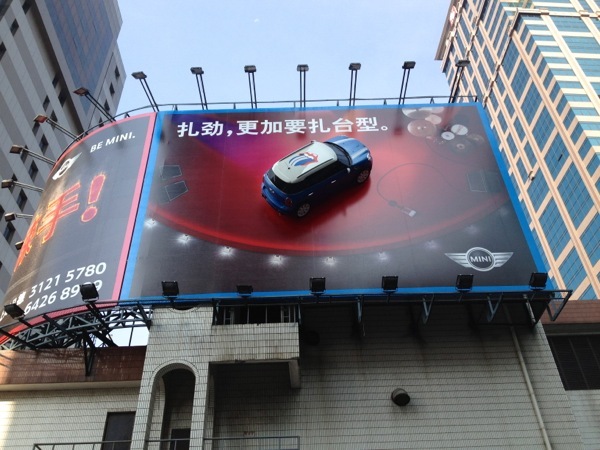 Well here's an interesting approach from the iconic Mini, who've literally stuck an actual car on the side of a billboard in Shanghai to grab the attention of passersby. Even though Daily Billboard may not understand the headline, you can see that to reinforce the unique Britishness of the car, they've even included the infamous tongue and lip logo of the legendary Brit rockers, the Rolling Stones, on the rooftop in red, white and blue. 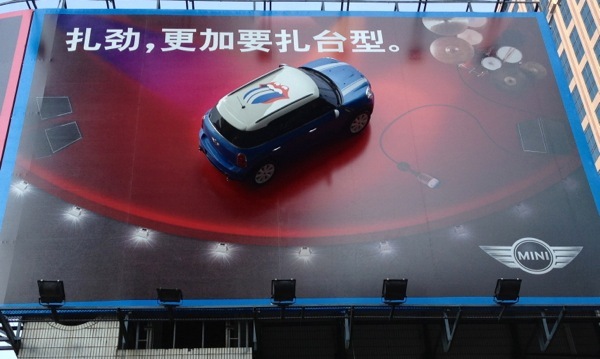 Daily Billboard is sure this isn't the first time this strategy has been used by the car manufacturer, but maybe Chinese consumers are not so familiar with this type of advertising publicity stunt, regardless it's nice to showcase some international marketing here on our blog. 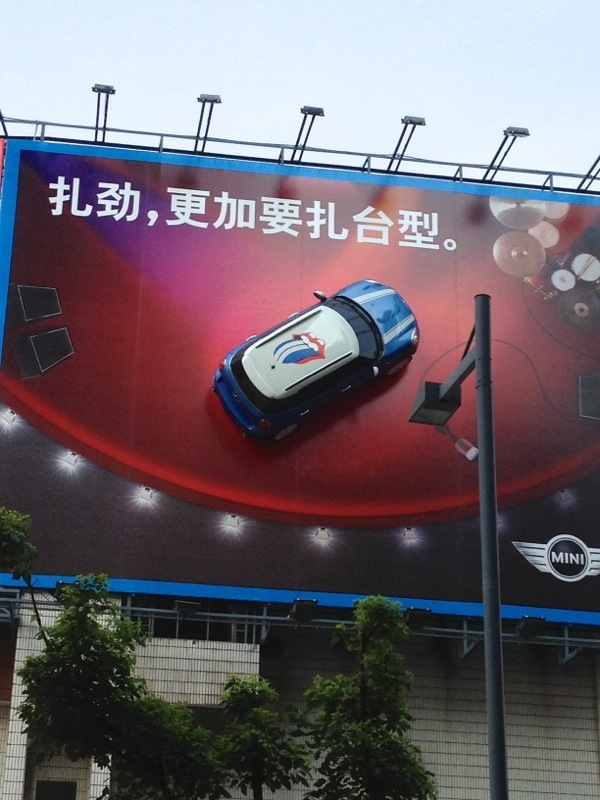 This eye-catching special billboard installation was photographed by one of Daily Billboard's roving contributor's outside the Langham Xintiandi Hotel in Shanghai, China on July 29, 2013. If you like this, be sure to check out more impactful special installation billboard ads here at Daily Billboard.